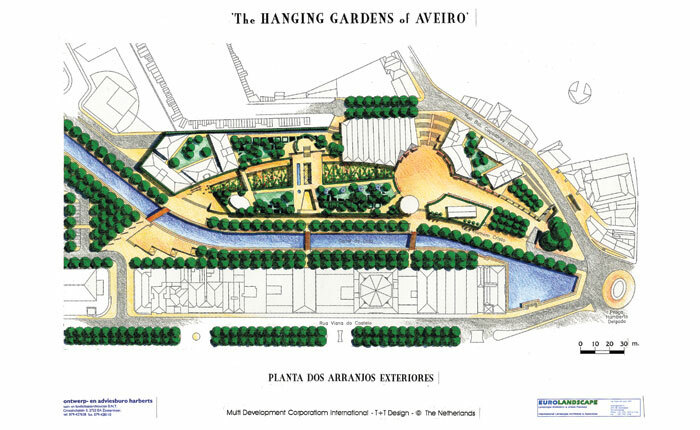 “The hanging gardens of Aveiro” is a study for a shopping center in Lisbon, Portugal. The drawing as shown, is the first sketch. At a later stage, with some small changes in the exterior, the shopping center was developed and extensive landscaping took place.